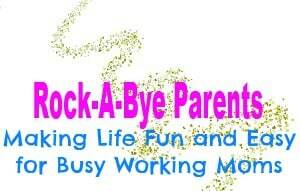 It’s hard to believe that the holiday season is behind us and that it’s time for kids to head back to school. My little guy, though, was not ready to go back. Luckily, I was able to make the transition a little easier with the help of Jif® & Smucker’s® PB&J Pizza! For the most part Nick likes school, but he never wants to go. He’s very much a homebody, like me, and he would happily stay home all day. I have found that it’s much easier to get him to school if he has something during the school day that he’s excited about. A fun lunch is one of those things. I knew the first week back to school after break would be especially hard for Nick. To make it easier I decided to plan something extra special for his lunch. When I headed to Meijer the other day though, I still wasn’t sure what that special lunch would be. Luckily, inspiration struck while I was reaching for a jar of Jif® Peanut Butter to put in my cart. Nick loves a good PB&J sandwich. Like most kids he is also very particular about how his sandwich gets cut. He likes his sliced diagonally to create, in his words, pizza slices. 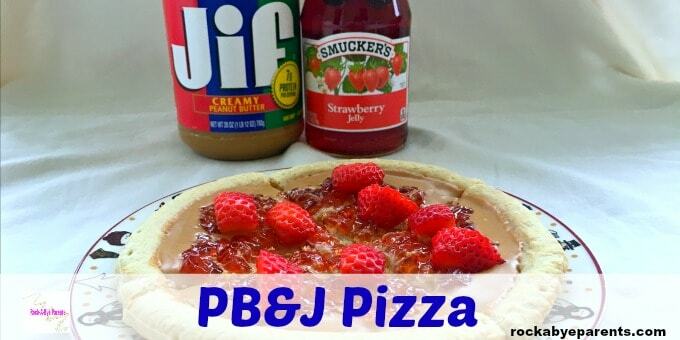 As I was grabbing my jar of peanut butter I got the idea to make Nick an actual PB&J pizza for his lunch! Talk about a fun lunch! After putting the peanut butter in my cart I continued down the aisle. 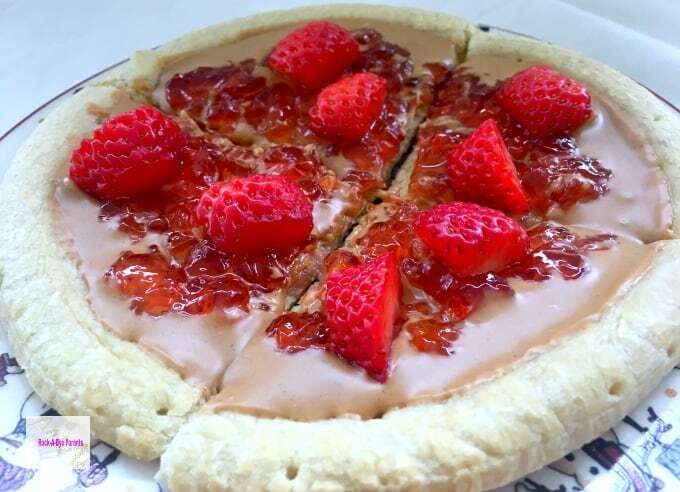 I grabbed a jar of Smucker’s® Fruit Spreads for the PB&J pizza. 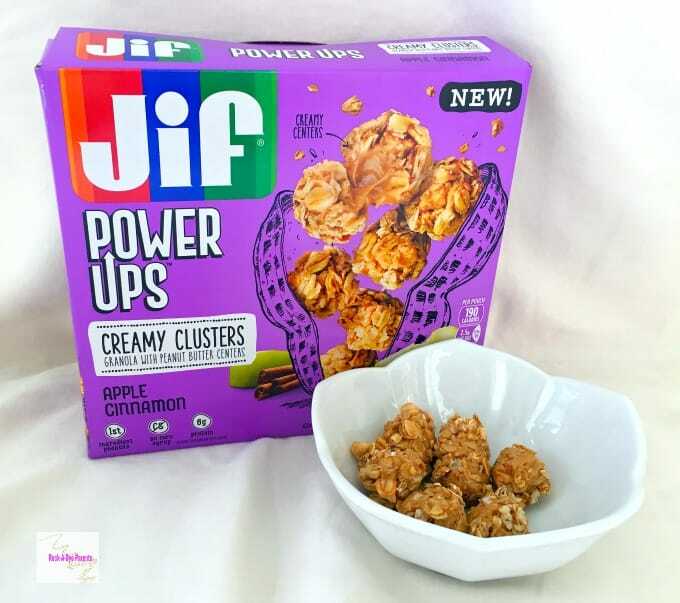 Then I finished by grabbing a box of Jif Power Ups® Creamy Clusters because of the great mPerks coupon I had clipped. 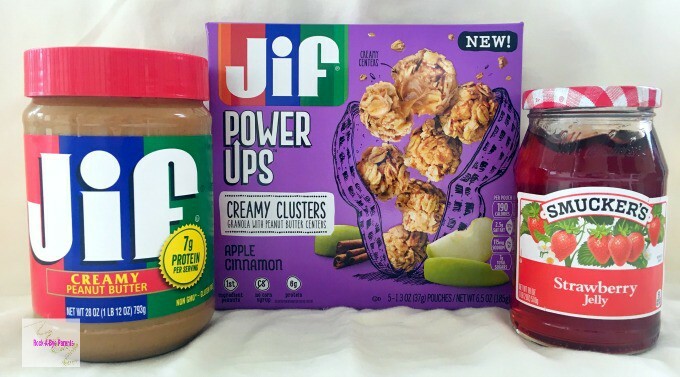 Have you tried Jif Power Ups® snacks yet? They are really good. Nick needs breakfast before school, but he’s not one to sit down and actually eat. He prefers food that he can snack on while he slowly wakes up. I like to give him snack food choices that have good protein, so peanut butter snacks are my go to. Jif Power Ups® are a choice that makes us both happy! One of the best parts about Jif Power Ups® is that they are so portable. Nick doesn’t always wake up fast enough to eat all of his breakfast. With these though it’s so easy for him to bring them with us to eat on our way to school. 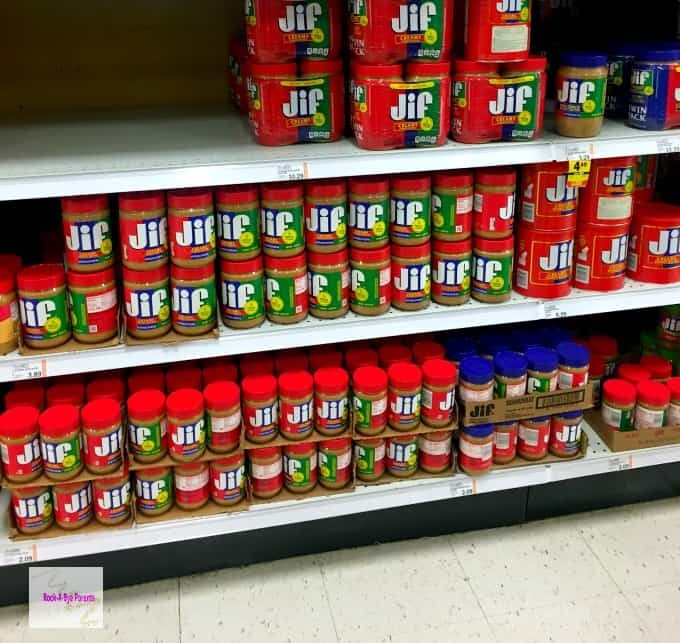 After I grabbed the Jif Power Ups® I had only a few more PB&J ingredients to get while I finished my grocery shopping. What is it about peanut butter and jelly? It is just so good. Jif® peanut butter with it’s creamy, fresh roasted peanut taste, and Smucker’s® Fruit Spread with it’s amazing flavor coming from fresh picked strawberries, make a PB&J simply amazing. It’s no wonder that both products have been trusted for years for their wholesome goodness. Whether in a sandwich or on a pizza crust Jif® and Smucker’s® spreads are the perfect pair to give you the best tasting PB&J! Making a PB&J pizza is quite easy. It takes a tad more work then making a regular PB&J sandwich, but not much. To start you’ll need to bake your pizza crust. I would just follow the instructions on the package of pizza crusts that you purchased. Mine said to heat the stove up to 450. Then to turn it down to 425 and bake for 7 minutes. That really didn’t get mine done enough, so you might need to bake another minute or two. Just before your pizza crust is done scoop 1/3 cup of peanut butter into a microwave safe bowl. Then place the bowl in the microwave and warm it up for around 30 seconds. You want to heat the peanut butter up enough so that it’s really smooth and easy to spread. Spread it on the pizza crust as soon as it comes out of the oven. Once your peanut butter has been added it’s time to top it with the jelly. 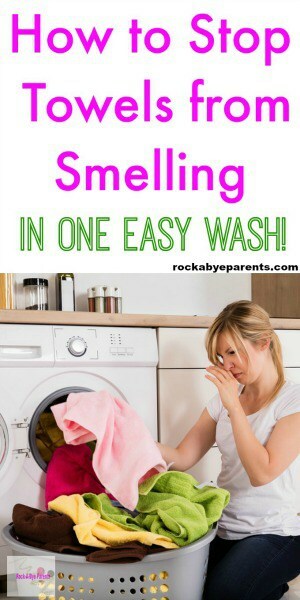 To do this you’ll want to place around 1/4 cup worth into a sandwich baggie. Push all of the jelly into one corner of the baggie and cut the tip of that corner off. Then squeeze the jelly out onto the pizza in a spiral pattern. You can help spread the jelly out even more by taking a knife and gently pulling the cutting edge through the jelly. Once you have your peanut butter and jelly all set cut the pizza into four slices. To finish your pizza cut up two or three strawberries into small pieces. If needed turn them over and cut the pointed edge off so they can lay flat on the pizza. Then place a few of the cut pieces on each slice. While the strawberries do add to the overall pizza flavor they actually have an extra purpose. 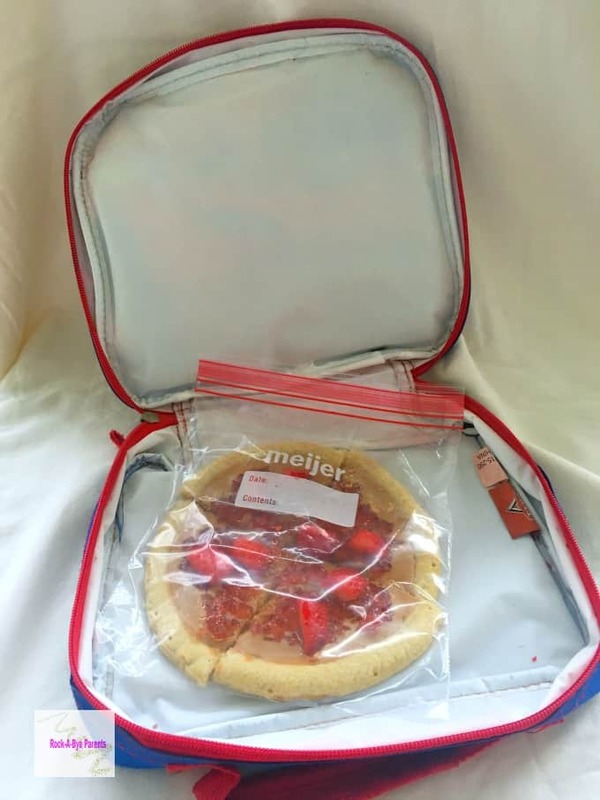 When you put the pizza into a baggie (use a quart size one) they keep the baggie from touching the peanut butter and jelly and making a mess! 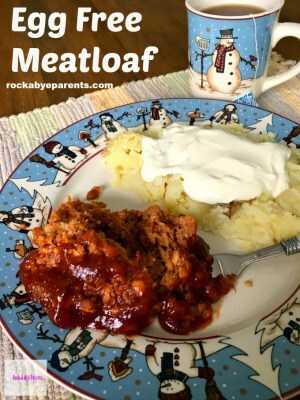 Along with the PB&J pizza, you can also pack your kid’s lunchbox with other fun lunch items. Nick really liked his PB&J pizza when we did a test run of it. It’s such a fun way for him to eat something he already likes. Plus, just as I had hoped, he was really excited about having it for lunch when I dropped him off at school this morning. I hope your back to school transition went just as smoothly! 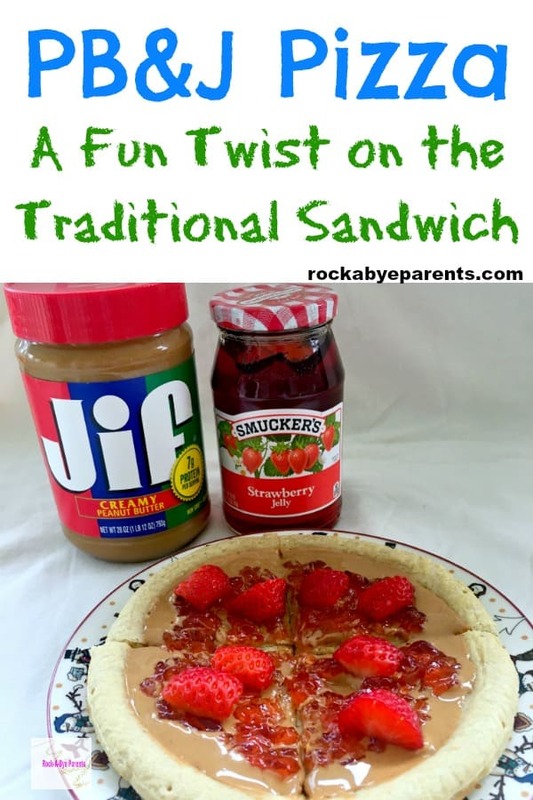 Want more fun Jif® and Smucker’s® spreads ideas? 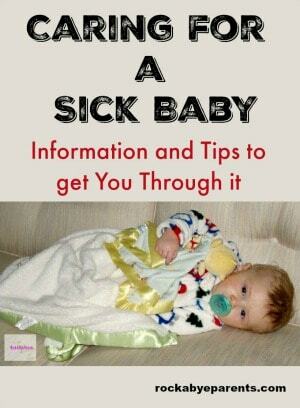 Be sure to check out all of the great ideas here! 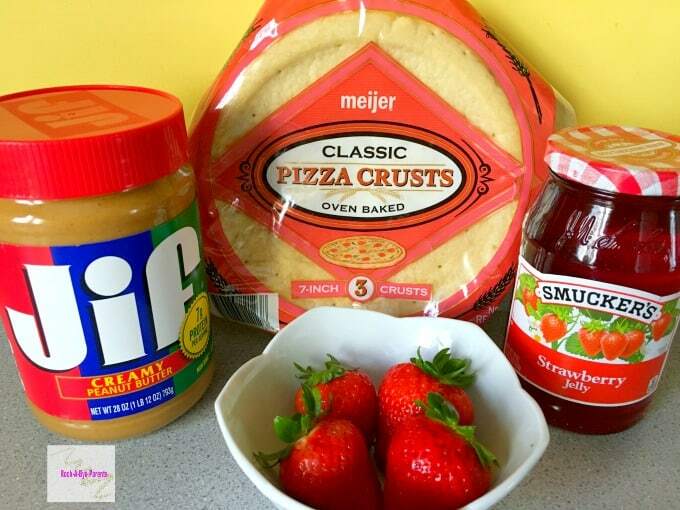 Before you head to Meijer to buy the supplies to make your own PB&J pizza be sure to log into mPerks and grab some money saving digital coupons! From now until 2/2/19 you can save over $2 on Jif® peanut butter, Smucker’s® fruit spreads, and Jif Power Ups® snacks! So many kids love a good PB&J sandwich, but it's still fun to change things up now and again. 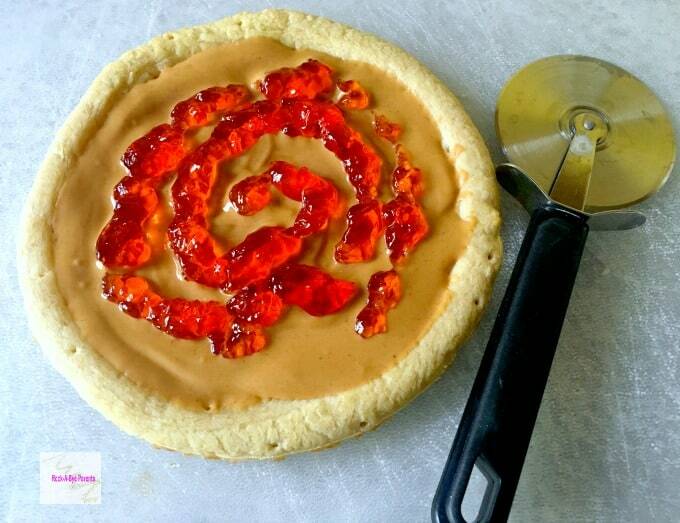 This PB&J pizza is is a great way to serve your child the PB&J they love with a fun twist! Bake pizza crust according to instructions on packaging. Melt peanut butter in a microwave safe bowl. Heat for 30 seconds or so. Then apply melted peanut butter to pizza crust. 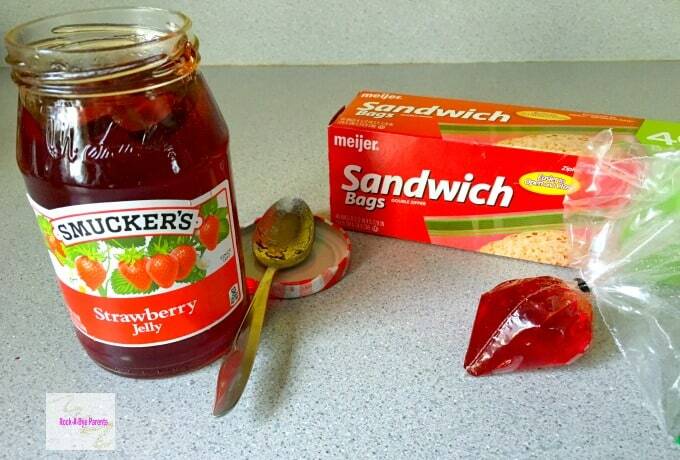 Put the jelly into a sandwich baggie and push it into one corner. Cut the tip of that corner off and then squeeze onto the pizza in a circular pattern. Gently pull the cutting edge of a knife through the jelly to move it around. Cut the pizza into 4 slices. Cut up 2 or 3 strawberries. If needed cut off any pointed tips so the pieces can lay flat. Then place the strawberry pieces on the pizza slices.